Lewa Named a Finalist in the Google Impact Challenge! We would like to announce that at the beginning of November we updated our website to a new secure site, with a few improvements that give it a fresh crisp look. Take a look on either desktop or mobile. We hope you enjoy it. Every year for the World’s Best Awards survey, T+L asks readers to weigh in on travel experiences around the globe — to share their opinions on the top hotels, resorts, cities, islands, cruise ships, spas, airlines, and more. Readers can rate hotel brands on their locations, rooms/facilities, food, service, and overall value. * Please note that the giveaway is only open to legal residents of the 50 United States and the District of Columbia. Those that live outside these areas can still vote and rate TRAVEL + LEISURE’s World’s Best but you will not be entered in the giveaway and therefore not eligible to win. The Travel + Leisure World’s Best Awards survey will be conducted online from NOVEMBER 5, 2018 – MARCH 4, 2019. THE WORLD LUXURY HOTEL AWARDS DINNER was held on the 10th November 2018, in, Bali, Indonesia celebrating the 12th anniversary of the World Luxury Hotel Awards. Over 360 guests flew in from around the world to attend the event, which awarded the world’s finest hotels for their luxury offerings and exceptional service delivery. We would like to thank the organisers at the World Luxury Hotel Awards for this prestigious title and to the team at Elewana Loisaba Tented Camp for their exceptional service and dedication. Congratulations for achieving this award. Perched on the edge of an escarpment, Elewana Loisaba Tented Camp enjoys a breath-taking vantage point over an expansive panorama. Sophisticated and stylish, the capacious custom-built luxury tents offer a relaxing vantage point to appreciate the splendour of the Laikipia Plateau. Experience an array of activities, from games drives to camel-trekking, guided bush walks to Cultural visits. The spacious main areas include a large dining area, separate open lounge and bar, a large wooden decking area, in addition to one of Africa’s most picturesque infinity pools. THE WORLD LUXURY HOTEL AWARDS was held on the 10th November 2018, in Bali Indonesia celebrating the 12th anniversary of the World Luxury Hotel Awards. Over 360 guests flew in from around the world to attend the event, which awarded the world’s finest hotels for their luxury offerings and exceptional service delivery. We would like to thank the organisers at the World Luxury Hotel Awards for this prestigious title and to the team at Elewana Kilindi Zanzibar for their exceptional service and dedication. Congratulations for achieving this award. The winners of the Boutique Hotel Awards 2018, now in its 8th year, were announced last night at the prestigious Awards ceremony held at the Merchant Taylors’ Hall, London. The ceremony brought together an array of boutique hotel owners, travel and lifestyle press and travel industry influencers from all four corners of the globe. The Boutique Hotel Awards is the first and only international awards organisation exclusively dedicated to recognising unique excellence among boutique hotels. Elewana Collection are overjoyed to announce that Elewana Kifaru House, in Lewa Wildlife Conservancy, has won Africa’s Most Stunning Views. We are privileged and honoured to be recognised for this Award, considering the tough competition we were up against, in view of the beauty and stunning locations across Africa. We would like to thank the organisers at World Boutique Hotel Awards for this award and to the Judges, who travelled the globe in search of the best boutique hotels and experiences. Guests can relax and feel at home, choosing how they spend their time, whether it is lying by the picturesque infinity pool gazing out over the plains or sitting in the library leisurely reading a book, time stands still at Elewana Kifaru House. Each of the five cottages offer spectacular views with well-appointed bedrooms, complete with opulent four poster beds and generous en-suite bathrooms. Elewana Collection are proud to announce that Elewana Arusha Coffee Lodge have achieved the SAPLING Level Award in the Responsible Tourism Tanzania Awards 2018. Responsible Tourism Tanzania (RTTZ) is a non-profit organization to encourage and promote sustainable tourism within the industry. RTTZ was established in 2011 as a trusteeship with a governance and membership base that includes the key stakeholders within the tourism industry. Internationally aligned standards and guidelines with a clear set of practical ideas to introduce the tourism enterprises to a sustainable management approach. An auditing and evaluation process that will help guide the tourism venture to improving their actions and the product. Lobbying and advocacy on behalf of the tourism industry to develop policies and regulations within Tanzania for the sustainability of the resources and cultures and people. Information and practical ideas, tools as well as training to assist the tourism enterprises to practice and participate responsible tourism. Promoting the responsible tourism operators and products in Tanzania to the international tourism market. Responsible Tourism Tanzania (RTTZ) developed a set of standards for Responsible Tourism in Tanzania. With future plans of having RTTZ formally recognized’ and even accredited by Global Sustainable Tourism Council (GSTC), The standards have been written in line with those of the GSTC, giving any RTTZ certified Tanzanian company the same international repute. The certification system using the standards has four levels or steps. The steps have been designed to push for continuous improvement. Each step will guide the organization toward becoming not only a matured enterprise in terms of responsibility but a role model for others. The requirements for SEED, SAPLING, and TREE levels have already been developed with the FLOWER requirements in the process, to ensure that we move slowly and get it right. Elewana Arusha Coffee Lodge was accredited straight to Sapling Level, which was a huge credit to the team for their hard work and dedication. We would like to congratulate them for this great achievement for the outstanding commitments! We would also like to thank the panel at Responsible Tourism Tanzania for this prestigious award. In reflection of this year’s Diwali festivities, Elewana Arusha Coffee Lodge transformed the famous “Trader’s Walk” area into a carnival of colour in homage to Bollywood.. We are so honoured to have famed actress Bhumika Chawla staying at Elewana Arusha Coffee Lodge at the time and we had the opportunity to show her around as we set up for the Bollywood evening. The event took place on Saturday 10th November starting from six o’clock in the evening and going on until late. The entertainment experience featured spectacular dance performances by Arusha’s talented Shine to Shine dance group, live music by Alpesh & Dj Pilu as well as the ever so talented Tanveer who enticed the audience with his Dholi drum performances. Guests got to enjoy the colours and aromas of different Indian street food, where they could sample the wide variety of dishes on offer at different stalls, trying something new each time and soaking up the atmosphere of the cooking demonstrations by Indian chefs. In addition, a “Bombay” inspired Gin bar was set up as well as a cocktail bar that served oriental cocktails. An incredible number guests attended and got into the spirit of the evening by dressing in flamboyant colours adding to the vibrant mood of the night. Dj Pilu, along with his entertainment kicked off with a good mix of oriental and African tunes followed by a dance performance; live singer Alpesh followed the music and finally the energetic dholi drum performance. All in all, the event lured a good mix of the Arusha Community and even drew in students from a local village who were all eager to learn about the Indian culture. Before the warm African sun rises, head out on your morning adventure from Elewana Elephant Pepper Camp, on the lookout for nature’s dramatic theatre to play out at a moment’s notice​, you never know what you may see on Christmas morning. Famished from the excitement, a tantalizing bush breakfast with sparkling wine awaits you, offering a selection of fresh fruit, cereal and the irresistible cooked breakfast with all the trimmings. Take a horse ride across the stunning landscape, enjoying the warmth of the wind or float above the plains in a hot air balloon as you wonder at the beauty of the Masai Mara and the boundless wildlife which lives here. Marvel at the expanse before you from the infinity pool at Elewana Elsa’s Kopje, pure relaxation with only the sounds of the wild for those looking for a quieter time this festive season. Candle light dinners under the stars and magical moments with the one you love. Meru’s rich wildlife diversity includes rare species specific to northern Kenya, such as Grevy’s zebra and Beisa Oryx plus over 450 bird species. Meru National Park is a place of spectacular and dramatic scenery, with its ancient granite kopjes and breath-taking views across to the Nyambeni Range and Mount Kenya beyond. Elewana The Manor at Ngorongoro brings "old-world" grandeur to a green and lush setting. Think cigars and brandy, elegant fine dining, and post-dinner snooker. Celebrate in style and elegance from picnics on the lawn to a five course dinner in the lavish dining room. We will pamper you and treat you to an extravaganza that will rekindle the spark of Christmas and the excitement of New Year. Elewana Serengeti Migration Camp is surrounded by the endless plains of the Serengeti that embodies an immense beauty captivating the soul. There is fun for the whole family, as we treat you to a host of Christmas activities, which include a special children’s walk with a professional guide, sundowners around a camp fire with Christmas canapes to African drumming and singing at dinner. We do keep some traditions but with an African twist, these include New Year’s Eve cocktails enjoyed around the camp fire watching the sun go down and as the last rays of light glow in the sky, 2018 is near its end. There is something magical watching a sunset in Africa, nothing compares to the colours that radiate from a thousand blades of grass and every rugged rock, sensing the timelessness of this place as the sounds of the night come alive. The countdown to midnight begins, the bubbles flow and the start of 2019 is here as you listen to a hyena woop or a lion roar the New Year is here. Craig McFarlane, Head of Guide Training for the Elewana Collection leads a dedicated team of guides. Covering these basic skill sets has allowed Craig to concentrate on developing each individual guide’s ability to listen, understand and relate to individual guests better. More recently Craig has conducted a number of training sessions specifically addressing our Head Guides, to ensure they have the tools and knowledge to manage their individual team members. All successful teams need a structure where every member is empowered to do their job to the best of their ability, for the head guides they must have the ability to train and empower their individual teams. Covering aspects such as integrity, punctuality and responsibility amongst others Head Guides are all asked to focus on their ability to set an example - to become a successful leader by setting themselves high expectations in certain key areas of their own daily routine . A veteran of 25 years spent in the field Craig is grateful that he can bring his knowledge, experience and learnings to our cadre of local guides and develop these individuals to become extraordinary people and ultimately, exceptional guides. Craig McFarlane was conducting Guide training with the Elewana Guides in Shaba National Reserve. Having gone to bed late, he was unable to sleep as he could hear a herd of elephants not far from the camp and from the sounds they were making, he could tell something was wrong. At first light, he gathered the guides and went to investigate. They found a young male calf, aged approximately a year and a half, wedged between the forks of two branches. The little guy had probably thought it looked like the perfect place to scratch his tummy but unfortunately having climbed through the two branches, was then well and truly stuck and could not go forward or backwards to free himself. His mother, the matriarch had stayed by his side all night, unable to do anything but stand guard and protect her little one. She would not allow Craig or the Guides to get near so they had to call for reinforcements. Kenya Wildlife Service and Lewa Wildlife Conservancy arrived swiftly and working together, the team was able to free the little guy. Mike Watson from Lewa Wildlife Conservancy had joined the team in his helicopter and was able to move the mother away about 500 metres, in order for the team to gain safe access to the young elephant. When he was freed he ran off in the opposite direction from his mother and Mike Watson, using the helicopter guided the little elephant and his mother back together, reuniting them safely. A huge thank you to all those that helped get this little elephant out of a tight spot! We are very excited to share this amazing sighting of a black melanistic serval cat spotted by our guide Juma Patrick in Amboseli. The photographs were captured by Marco Strullu, who was a guest at Elewana Tortilis Camp at the time. Serval cats are similar in size to Caracals and are classed as medium sized cats, however they are more slender and taller with a weight that ranges from 9 to 13 kgs in adults. The coat pattern is variable but usually pale yellow with different sized spots, some of which merge into longitudinal stripes down the back and neck. The underparts are paler but usually also spotted and the tail has black rings with a black tip. The word 'melanism' is deduced from a Greek word that means black pigment. Melanism is a recessive biological function present is a number of animals and birds, in which the dark-colored pigment melanin is developed in the fur, giving the animal a dark or black-colored appearance. For the melanistic characteristic to occur both parents must have the recessive gene but this does not mean that the offspring will be. There is only a 25% chance that they will have offspring that is melanistic. The trait seems to be relatively rare in servals. There are just a few records of black servals in the scientific literature from Kenya, Tanzania, Ethiopia, Gabon, and the Central African Republic. The name "Amboseli" comes from a Maasai word meaning "salty dust" and the National Park is renowned for its majestic views of Mount Kilimanjaro and the large herds of elephant that roam its dusty and stunningly arid landscape. Amboseli National Park covers 392km² and has a mixed topography of plains, acacia woodland, rocky thorn bush, swamps and marshes. This diversity, along with a long dry season, ensures excellent viewing of animals living in this natural habitat. It also has a dry Pleistocene lake basin that houses a temporary lake, Lake Amboseli, after the rains. However, there is another animal that has flocked to the area, which is not often seen. After a heavy rainy season the lake is brimming with life, as hundreds of flamingos have arrived and have made this their new home, adding to the dramatic scenery known as Amboseli. Lewa Wildlife Conservancy recently received news that they have once again been included in the prestigious IUCN Green List of Protected areas, one of only 3 Kenyan organisations to feature! The sites on the IUCN Green List have reached a standard of excellence, with clear and measurable benefits for nature and local communities. For Lewa to be included in the list, they had to demonstrate excellence based on a rigorous assessment of 17 criteria of success in four areas: governance, management, design and planning, and conservation outcomes. We are privileged to be recognised as being among the most effectively managed sites in the world once again. Thank you to all who continue to make our work possible! Elewana Collection has two properties located in the Conservancy, Elewana Lewa Safari Camp and Elewana Kifaru House, which are the only two tourism property owned by the Conservancy itself, with the aim of boosting the conservancy’s revenue through camp occupancy. All camp profits and conservancy fees generated by the camp are reinvested directly into the conservation and community efforts of Lewa Wildlife Conservancy. Guests can relax and feel at home, choosing how they spend their time, whether it is lying by the picturesque infinity pool gazing out over the plains or sitting in the library leisurely reading a book, time stands still at Elewana Kifaru House. Each of the five cottages offer spectacular views with well-appointed bedrooms, complete with opulent four poster beds and generous en-suite bathrooms. Intimate and homely atmosphere offering true luxury in the bush with unrivalled wildlife viewing. 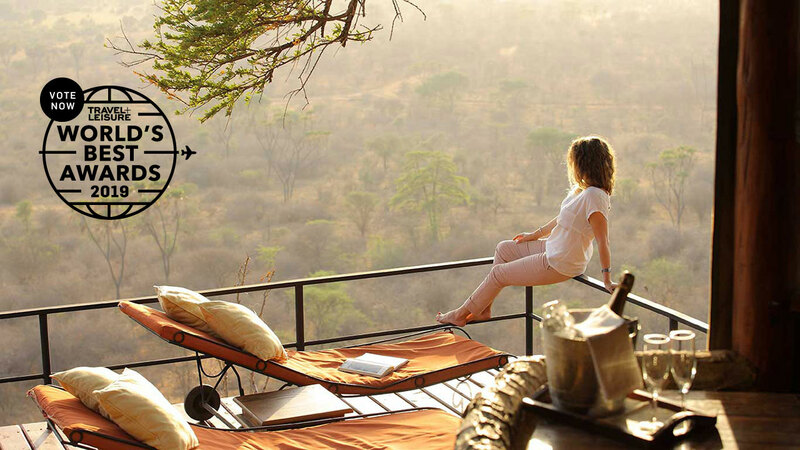 Elewana Lewa Safari Camp is a unique and exclusive retreat, which offers privileged access to 65,000 acres of private protected wilderness. Featuring large tented bedrooms each with its own veranda and full en-suite bathrooms. Enjoy a host of activities from walking safaris, horse or camel rides, visit to the new joint operations centre and cultural experiences or simply relax by the swimming pool and enjoy the tranquillity. Lewa Wildlife Conservancy was previously a cattle ranch owned by David and Delia Craig. In 1995 they decided to dedicate their entire ranch to the conservation of wildlife, especially the critically endangered rhino. Through the protection and management of wildlife species, the initiation and support of community conservation and development programmes, and by educating the local youth in the value of wildlife, Lewa has reversed a decline in several endangered species, most famously rhino and Grevy’s zebra. Since 1984 its rhino population has grown steadily, not only restoring local numbers but enabling the reintroduction of black rhinos into other regions of East Africa - where they had long been extinct. The Conservancy currently holds over 10% of Kenya’s black and 15% of Kenya’s white rhino population as well as the largest single population of the critically-endangered Grevy’s zebra in the world. Lewa Wildlife Conservancy are excited to share with you that they have been selected as a finalist in the Google Impact Challenge, Kenya. They joined this challenge to enable them to scale their Digital Literacy Programme across the wider northern Kenya landscape, and help to provide access to quality digital education to children and youth in remote areas. In order for them to be one of the finalists that will receive a grant of $250,000, they had asked people to vote. The Lewa Wildlife Conservancy works as a catalyst and model for the conservation of wildlife and its habitat. It does this through the protection and management of species, the initiation and support of community conservation and development programmes, and the education of neighboring areas in the value of wildlife. The Lewa Education Programme’s main mandate is to provide access to quality education to children and youth in marginalised communities in northern Kenya. It employs a holistic, multi-faceted approach which entails a digital literacy programme as one of the key elements. The programme has and continues to facilitate access to digital curricula, enhancing the outcomes of classroom learning for 2,500 students. It also targets teachers, providing them with classroom materials and improving their instructing capacity. Additionally, Lewa provides mobile libraries to enhance reading skills amongst school children within 21 out of 23 Lewa-supported government schools currently. The annual medical camp is an initiative of the Land & Life Foundation, the charitable arm of Elewana Collection, which takes place annually in the Masai Mara. A number of partners were involved; Elewana Elephant Pepper Camp, Kicheche Camps, Kichehche Community Trust, Saruni Camps, Safarilink, Oasis Healthcare, Mara North Conservancy and Ministry of Heath Narok, who work together to ensure the benefits of tourism are felt at the grassroots level through Free healthcare provision. One of the aims of the medical camp is so the community can enjoy the benefits of tourism and conservation. The majority of the patients treated are community members who have leased their land to facilitate the formation of the wider Mara North Conservancy. Oasis Healthcare offered free medical service as part of their CSR initiatives and Safarilink provided return air tickets to facilitate the logistics of attending the camp. The 7th free annual medical camp took place in Aitong Health centre from the 29th October to the 1st November, 2018. We were delighted to help make it possible for community members to access services in gynaecology, dental, paediatrics and general healthcare. It is always a joy to see the community reap the benefits of their efforts. Once again, the medical camp was a great success. The Land and Life Foundation and Elewana would like to thank all those who partnered with us in providing this much need help. Elewana Collection and it’s charitable arm Land & Life Foundation has once again joined #GivingTuesday, a global day of giving that harnesses the collective power of individuals, communities and organizations to encourage philanthropy and to celebrate generosity worldwide. #GivingTuesday is held annually after the widely recognized shopping events Black Friday and Cyber Monday to kick off the holiday giving season and inspire people to collaborate in improving their local communities and to give back in impactful ways to the charities and causes they support. This year Giving Tuesday fell on TUESDAY NOVEMBER 27th and through a number of initiatives the team was organising a book and toys drive in addition to wearing GREEN to the office from head to toe - socks, hats, shirts.... as green as we could be!!! These funds will be used to fund the Wildlife Warrior retreat, which this year is happening in the Wildlife Clubs of Kenya campus in Nairobi in December and will bring together 37 young conservationists from all over Kenya for a week of conservation education, exciting visits and fun activities. Last year the contributions raised approximately Ksh 63,000, which enabled us to construct a brand new Boy's Toilet Block at Kachiuru Primary School. This year we want to double our efforts and hope to raise even more for a good cause. ATCL Distribution and Sales Manager Mr Edward Nkwabi said that the airline targets those cities because they are major commercial centres and many Tanzanians travel to the cities to buy merchandise. In another development, Miss Tanzania 2018 will be travelling to China to participate in the Miss World event. Ethiopian Airlines has announced that as from mid December it’s Los Angeles flight to Addis Ababa will now transit through Lome, Togo. This opens up options to both West and East Africa, with more flights weekly, getting to East Africa is faster and easier from the West Coast of the USA. They have also announced that there will be a new route from Dublin going via Madrid to Addis Ababa, increasing flight options from Europe to East Africa. Ethiopian Airlines, the largest Aviation Group in Africa and SKYTRAX certified Four Star Global Airline, is pleased to announce that it has changed the ultra-long haul route from Los Angeles to Addis Ababa to transit through Lome, Togo as of December 17, 2018. The airline has been flying to Los Angeles since 2015 with a stop previously in Dublin, Ireland. The new route to from LAX to ADD via LFW will depart Los Angeles on Monday, Wednesday and Saturday at 9:35pm and arrive in Addis Ababa at 5:40am the next day. The return flight departs Addis Ababa on Monday, Wednesday and Saturday at 8:20am and arrives in Los Angeles at 7:35pm. Skyward Express has announced that they will fly to the coastal city of Ukunda every Friday and Sunday from 16th November 2018, giving our clients more ways to travel to Elewana AfroChic Diani. There have been a number of animals visiting the waterhole at Elewana Tarangire Treetops this last month. Check out the time lapse video from the deck chair web cam and see what you can spot.